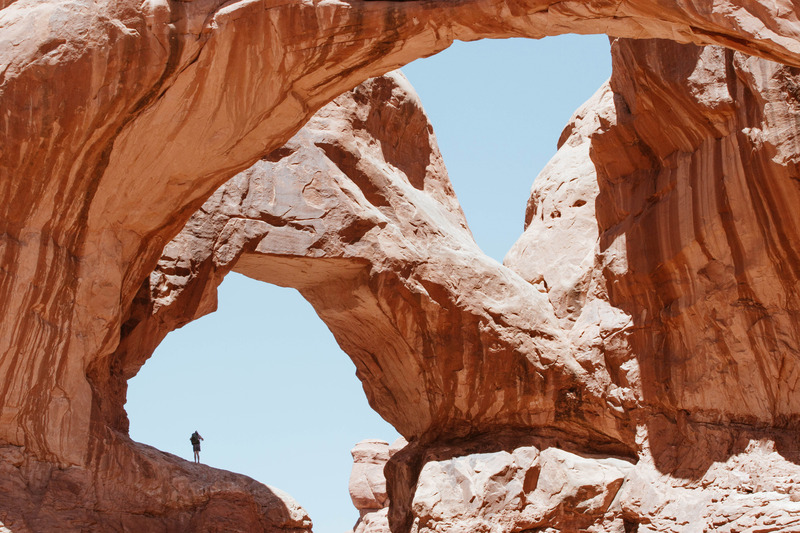 Arches National Park and photography go hand-in-hand. 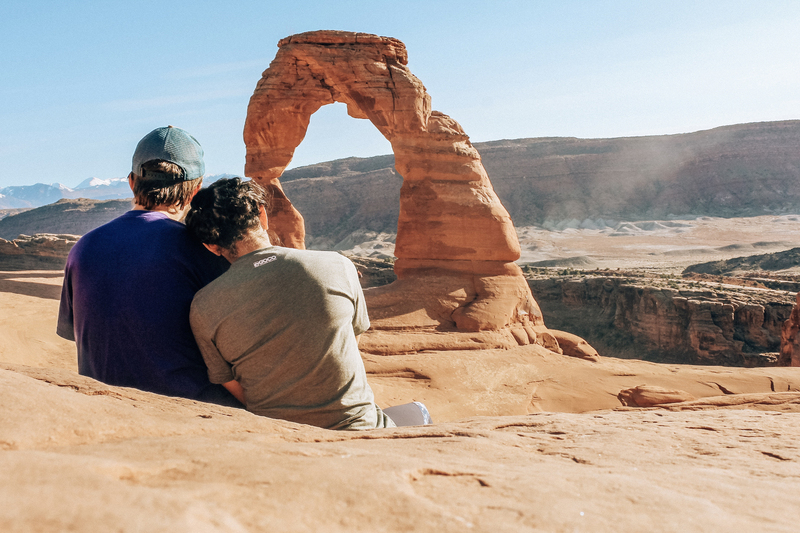 The entire city of Moab, where Arches is located, is a place so beautiful that you could point your camera anywhere and you’d get an amazing photo. With a wide array of hikes and viewpoints for every visitor, we have listed our favorite hikes that will get you the best photo for sharing with all of your friends, family and online community. A massive arch that can photographed from all angles, Corona Arch is not located in the National Park itself but is a short drive away. 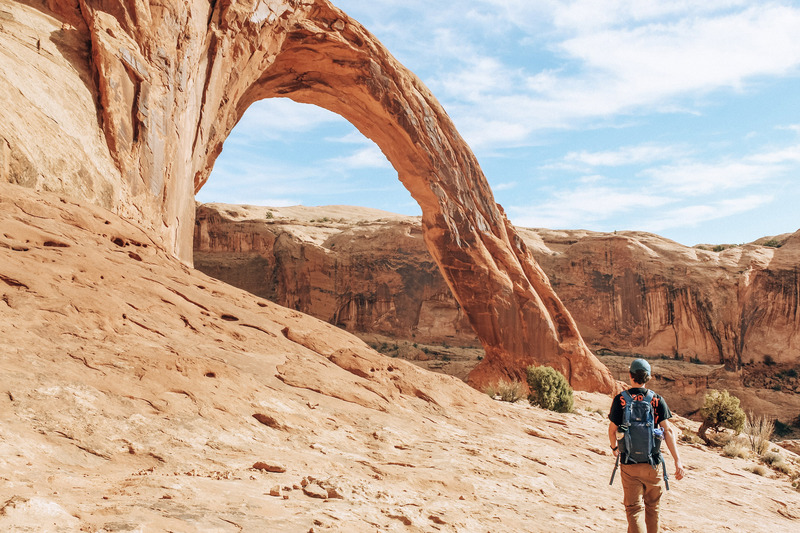 This moderate-rated 3 mile hike takes you along a trail that brings you up-close and personal with this massive arch. There is something unexplainable about the way it feels to sit under this arch and just gaze upon its scarred stone backdropped by blue skies. One of the best parts about Moab is not just the beauty but the fact that the hikes do not require extended amounts of gear or time. As always, be sure to check with the rangers in the Visitor Center before hiking any of these trails in order to confirm weather and trail conditions. Still not enough hiking? Check out Red Cliffs Waterfall Hike and other Utah adventures through Adventure Aide.